Is the Suit on Borrowed Time? Read MoreIs the Suit on Borrowed Time? H&M, a Brand on the Turn? Read MoreH&M, a Brand on the Turn? 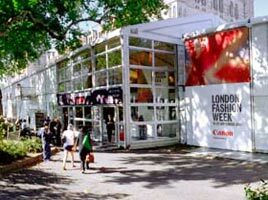 It is September in South Kensington, and that means one thing for the fashion-creatives of London; London Fashion Week. From the 15th to the 20th of September, London’s creative fashion centre switches to a white construction outside the Natural History Museum. Hopeful designers exhibit their clothing and press and buyers from around the UK and around the world scrutinise the offerings for a period of just six days. For the fashion elite of London, this is the event of the autumn, providing a glimpse at the future. But does it really offer anything for the stylish man-about-town?